Rigatoni alla Norma Fill 1 Created with Sketch. Norma is the name of a famous opera written in the early 19th century by composer Vincenzo Bellini. 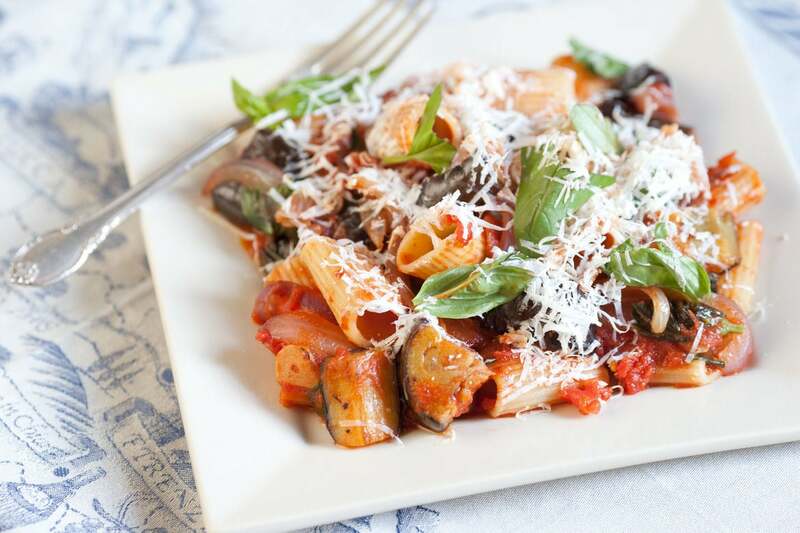 Because Bellini was native to Cantania, Sicily, it’s believed that a chef in Cantania named his eggplant and pasta dish after the opera to honor the work of art and its grandeur. 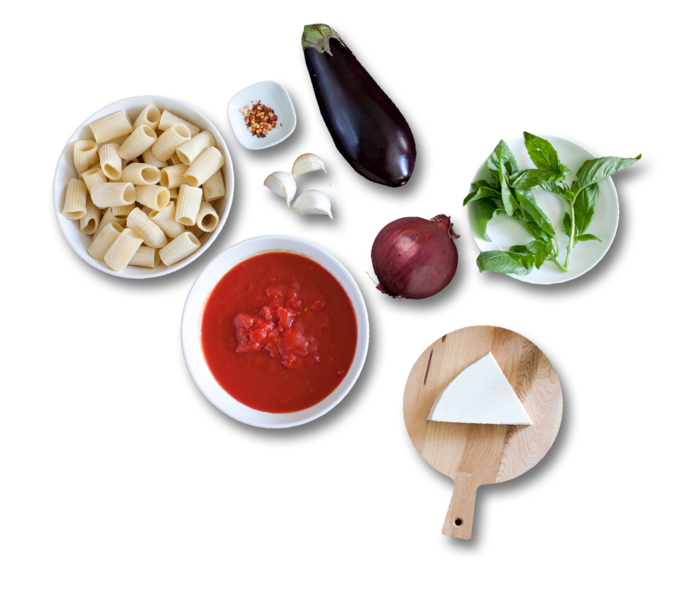 Pasta alla Norma always features eggplant, a vegetable found in many popular Sicilian dishes, and some form of ricotta cheese. Heat a large pot of salted water to boiling on high. 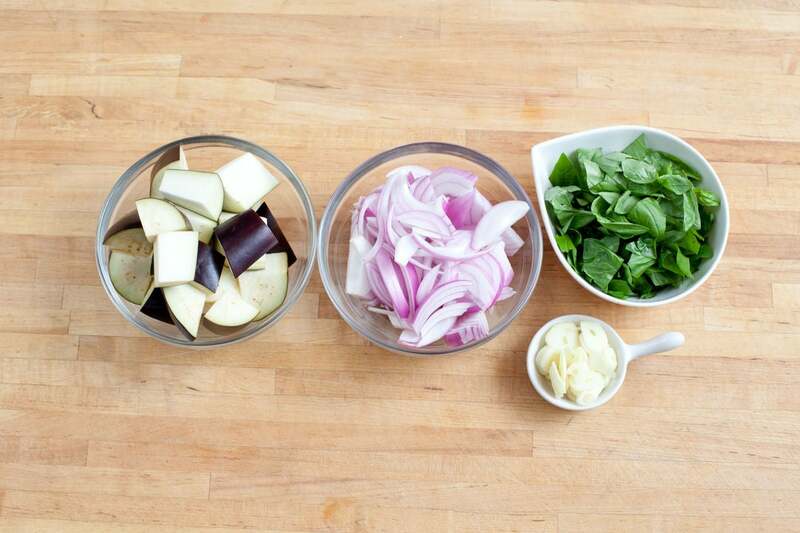 Peel and slice the garlic and red onion. Tear the basil leaves into bite-sized pieces. Trim and large dice the eggplant. In a large pan, heat a thin layer of olive oil on medium-high until hot. Add the eggplant; season with salt and pepper, and cook 2 to 3 minutes, or until golden on all sides, stirring occasionally. Add the onion and cook 1 to 2 minutes, or until slightly softened. Add the garlic and cook about 1 minute, stirring until fragrant and golden. 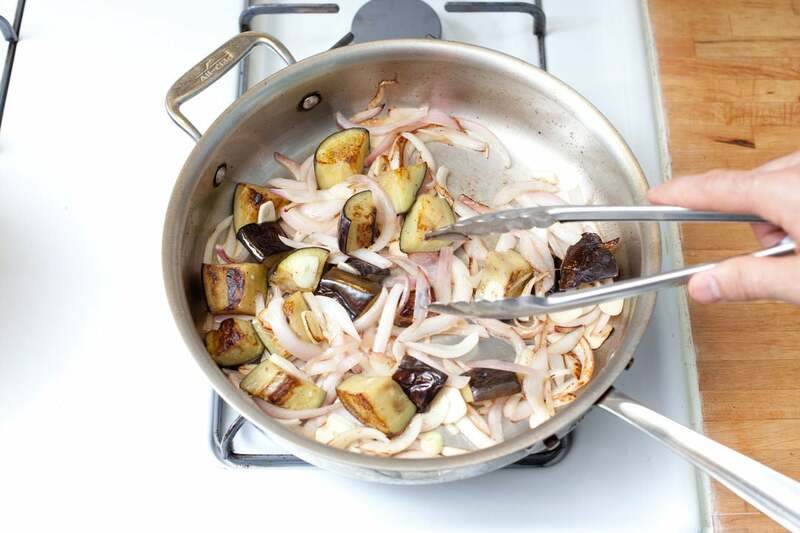 Add the red pepper flakes and diced tomatoes to the eggplant in the pan. Reduce the heat to medium-low, and simmer the sauce 2 to 3 minutes, or until slightly thickened. Stir in half the basil and season with salt and pepper to taste. 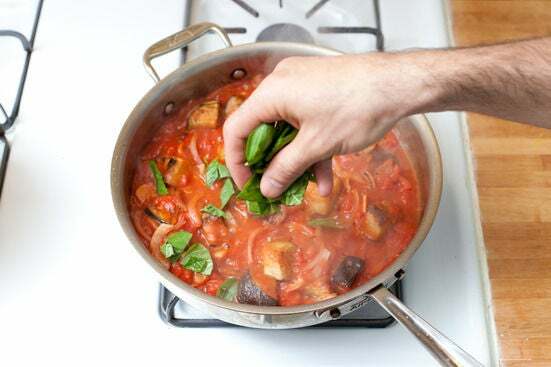 While the sauce simmers, add the pasta to the pot of boiling water and cook 4 to 5 minutes, or until al dente (cooked through with a little bite). 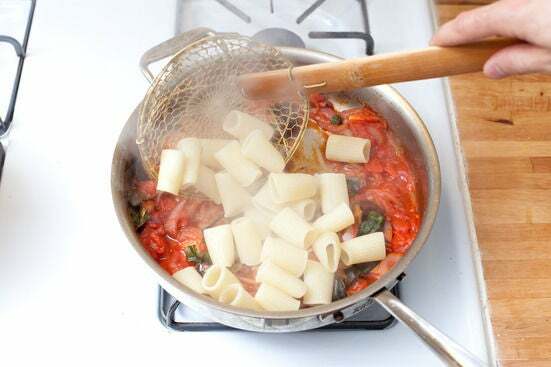 Reserve a little cooking water before draining the pasta. 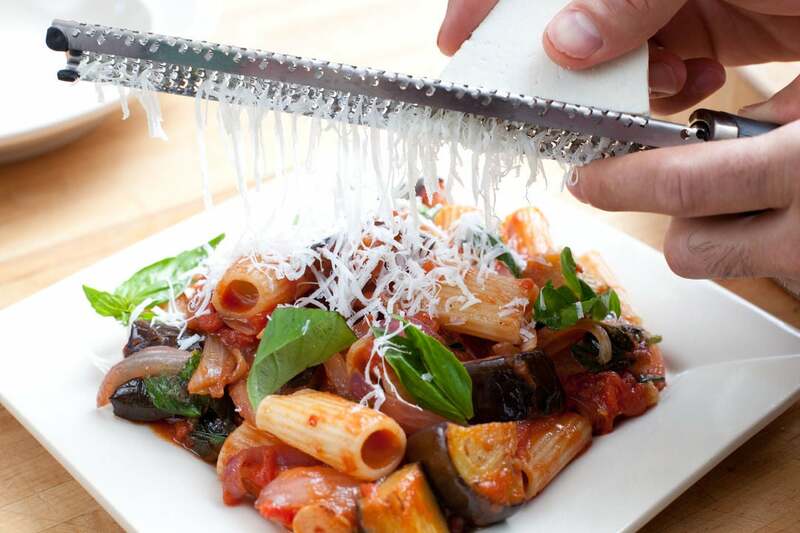 Transfer the drained pasta directly to the pan with the sauce, tossing to coat. 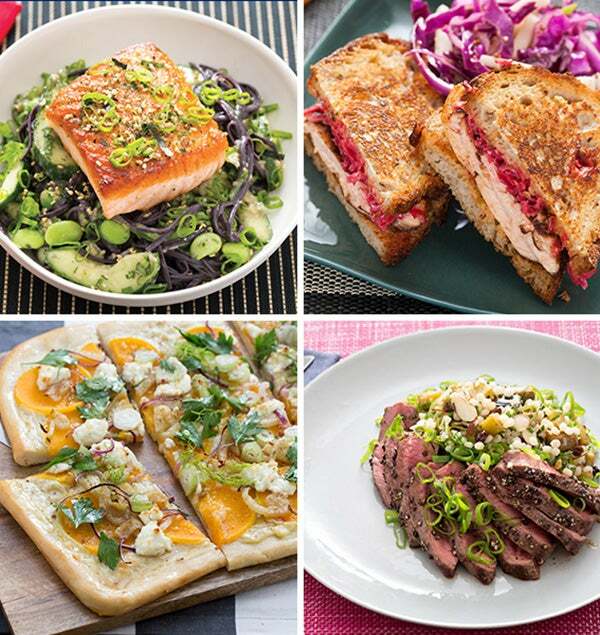 If the sauce seems too thick, you can add some cooking water to thin it out. Divide the pasta between 2 plates. Sprinkle the remaining basil and grate or crumble the ricotta salata cheese over the top of each. Enjoy!